What is a Dental Therapist/Dental Hygienist? 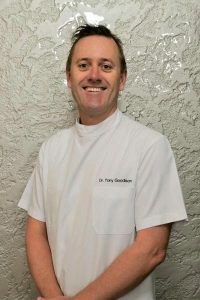 Tony graduated from the Melbourne University with a Bachelor of Dental Science in 1995. After working in Leeton, NSW, Tony moved to Wangaratta to work with both Dr McKinnon and Dr Burns before purchasing the practice himself in 1998. Since then Tony has worked hard to build the practice into the highly reputable, modern and family friendly dental practice it is today. Along with general dentistry, Tony has extensively furthered his skills base to include endodontics, cosmetic and implantology. His aim is to achieve the best possible outcome for each patient. Tony lives in Wangaratta with his family and loves a hit of golf and supporting The Bombers!! Andrew comes to our practice with a Bachelor of Biomedicine and a Doctor of Dental Surgery degree from the University of Melbourne. In his final year, Andrew spent time in dental practices in both Shepparton and Cobram, and is now enjoying the Wangaratta Lifestyle. Volunteer work in Cambodia providing dental treatment for underprivileged communities was an experience he found both humbling and rewarding. 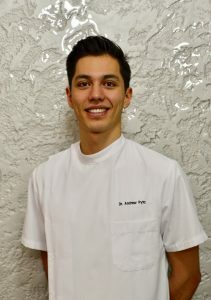 Andrew has settled in well with the Goodison Dental team and enjoys all aspects of dentistry. His focus is to provide all patients with a comfortable and positive experience. Outside of dentistry, Andrew is an avid tennis player and fan, and enjoys keeping fit. Dr Khee Yeo completed his Bachelor of Dental Science degree with honours at the University of Melbourne. Khee had been working in the Northeast, in particular Myrtleford and Yarrawonga for some time, before deciding to make Wangaratta his permanent home. 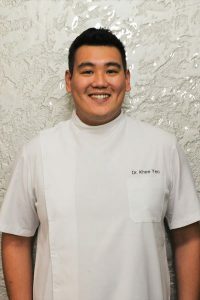 With a particular interest in restorative and aesthetic dentistry, Khee is loved by his patients for his gentle and caring nature. Khee and his fiancée have made Wangaratta ‘home’ purchasing a house here, and are busy planning their 2018 Wedding. In his free time, Khee enjoys track racing at Winton raceway and occasional car detailing. Benalla, Beechworth, Myrtleford, Bright, Corowa/Rutherglen, Wangaratta & Yarrawonga areas.